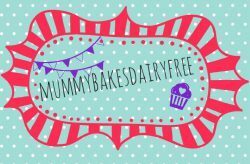 Little one hasn’t really been introduced to chocolate, apart from a little dairy and egg free chocolate cupcakes when I was trialling recipes for her first birthday (find the link for that recipe here). This recipe is little one friendly by accident rather than by choice. It was our friend’s 30th birthday party a few weekends ago and I wanted to bring a sweet treat. The biscuits were a creation dependent on what I found in my cupboard and therefore allergy friendly! I gave little one a quarter of one to try however she wasn’t that keen. I think it was because the biscuits are fairly rich and in a way I’m relieved she didn’t want more. Whilst she is still little I would prefer her to get the sweetness in her diet from fruit although I’m well aware this won’t last forever! To make the biscuits have a more grown up flavour I added a little ground ginger. It isn’t enough to make the biscuits taste like gingerbread however it does give a little heat which I quite liked. Whilst the dough was chilling in the fridge I took the chance to bulk up my freezer stash of savoury scones. You can find the recipe here. 1. In a bowl cream the dairy free butter and sugar together until fluffy and light. I use an electric hand mixer. Gradually sift the flour, cocoa and ground ginger (if using) into the sugar and butter. Using a wooden spoon combine the ingredients well until the mixture forms a ball. Wrap the dough in cling film and pop in the fridge to chill for a couple of hours. 2. Preheat the oven to Gas Mark 5, 170 C and line a couple of baking tray with greaseproof paper. Remove the dough from the fridge and roll out. I roll the dough out between cling film which helps to keep the dough together. Using a cookie cutter, cut out the biscuits and place onto the tray leaving a cm gap between each one. Re-roll the dough and repeat until you have used the dough up. 3. Pop into the oven and cook for about 20 minutes, checking regularly to make sure the biscuits haven’t caught on the edges. Once cooked remove from the oven and allow to cool slightly on the tray before placing on a wire rack to cool fully. 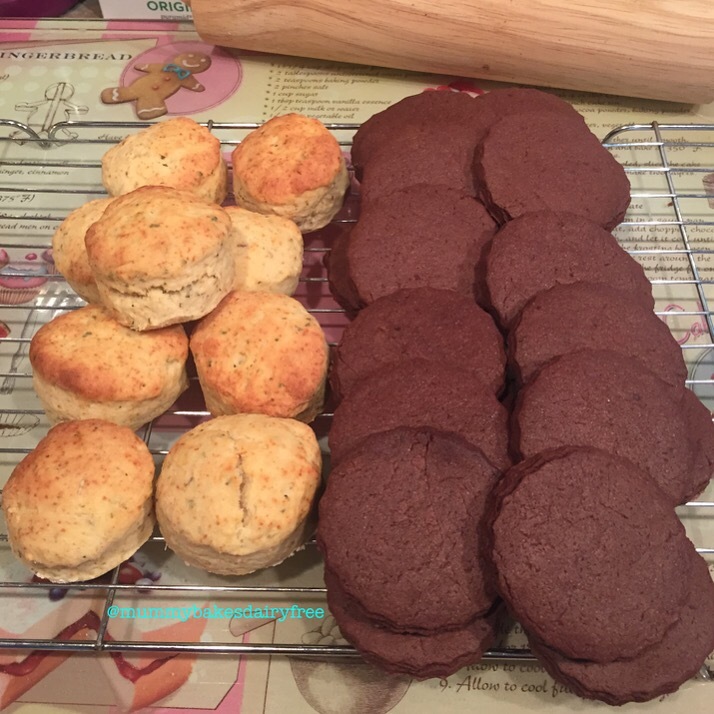 You could top your biscuits with a chocolate flavoured glacé icing or a dusting of icing sugar. Total make time 1 hour + 2 hours chilling time.